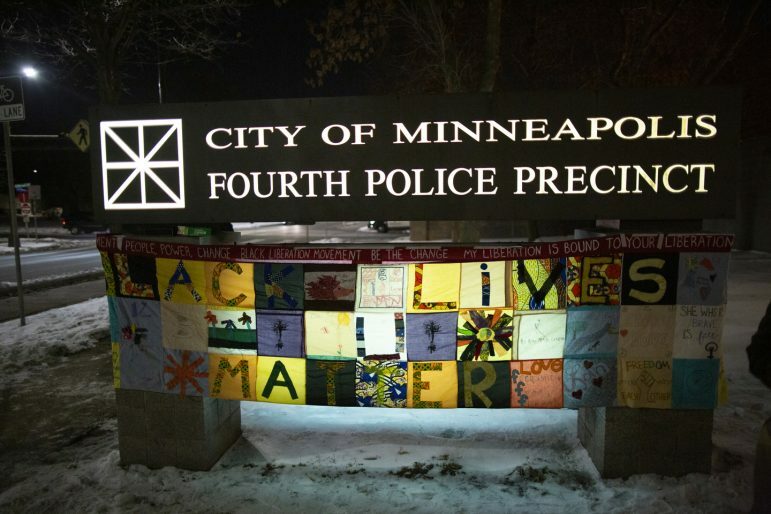 Nearly 40 community members gathered for a holiday do-over at the Minneapolis Police Fourth Precinct station. The gathering followed an uproar over a photo of the station’s Christmas tree “decorations,” which consisted of menthol cigarettes, malt liquor cans, and junk food. The photo went viral and community members demanded a change in leadership at the precinct. 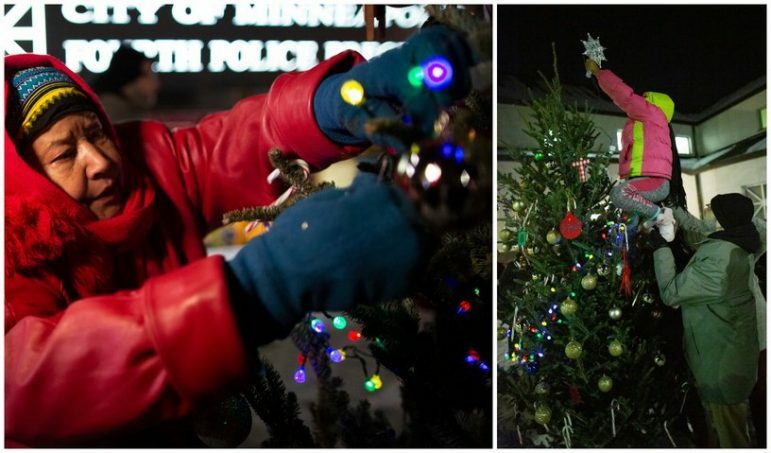 On Friday, Dec. 7, community leaders sipped on hot cocoa and hot cider as they decorated a new donated tree outside of the station filled with ornaments representing what the North Minneapolis community really looks like to them. 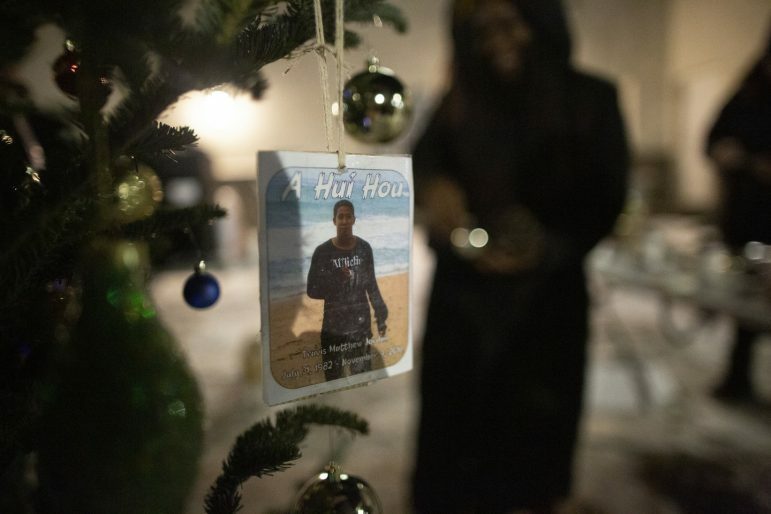 One community member added a military patch, and another brought a photo of Travis Matthew Jordan who was shot and killed by police in November. At the end of the event, community members hoisted six-year-old Blessing Caldwell to place the star at the top of the tree. Unable to reach the top, Lt. Tim Mattsson and an officer brought a ladder to put on the finishing touch. Arrow through below for more photos by Chris Juhn.